Friends from one month I was not at home and I am really sorry to not updating this blog . Today I was searching few blog and saw that themetoday released one nice blogger magazine template for blogspot users . They took inspiration from different bog themes and than designed this theme . Bmagazine is really a premium blog template for blogger users and I also liked it very much . We have many options to edit this theme and can be used for any niche too . 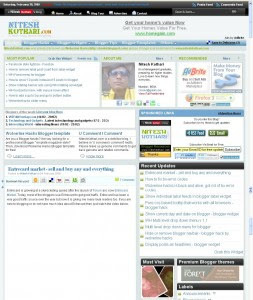 I have not used this theme till yet but I will say you must use such blog templates to give pro look to your blogs .